Supply chain management is often one of the most overlooked departments in a corporation when it is a priority. Without direct communication between every department, purchasers are often not aware of key issues that will affect their buying decisions. The solution – Develop a solid procurement strategy that integrates with the corporate strategy. Work with upper-level management to open the lines of communication throughout the company and meet regularly with other decision makers to keep everyone on the same page. When internal communication is below standards, it’s easy to fall into a similar trap with your vendors and suppliers. A supply chain can only be as effective as the people involved in the procurement process. This includes everyone from purchasers to logistics experts to sellers to end users. 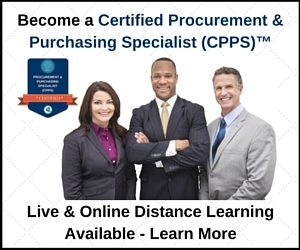 The solution – In addition to getting feedback from department heads and customer liaisons, procurement professionals must work hard to develop a strong, trustworthy bond with their suppliers. Meet regularly with your vendors and address problems or concerns quickly and professionally. Choose sellers who actively work with you to improve your relationship. Depending on the industry, the costs of products, materials, and transportation are constantly fluctuating. On the other side, demand and value are also changing. Keeping all of this under control to meet the desired profit is a big challenge in most procurement processes. The solution – Again, internal and external communication is essential throughout the procurement process. Concentrate on building relationships with the suppliers who have the biggest impact on profits. The best procurement professionals actively eliminate unneeded spending and impart more value to the company as well as its consumers. Too many procurement professionals remain isolated from corporate operations and often fail to see a product for its greatest end value. In doing so, many important details get overlooked, leading to missed opportunities, increased costs, and other side effects. The solution – Like most challenges in the procurement industry, the foundation to overcoming this obstacle is communication at all levels. 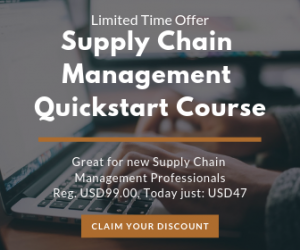 A successful supply chain manager is aware of the end user’s needs, the budget, the marketing strategy, and other steps in the product’s timeline to develop a comprehensive strategy that generates optimum profits. The most effective procurement strategies integrate seamlessly into the corporate strategy, essentially becoming a key player in demand management and not mere supply chain management. Of course, a process that works this effectively requires overcoming all the obstacles already mentioned. The solution – Streamlining starts with a quality software solution. 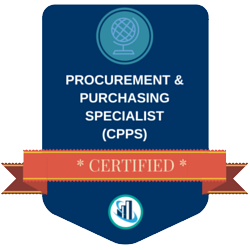 Procurement software systems that are too complex cost more time and money in the long run. These resources are better spent on improving internal and external communication and, ultimately, becoming a leader in product innovation and demand progression. Tackling all the challenges that come with supply chain management isn’t easy. Remember that communication at every level is the key to procurement success. I agreed with your focusing in the internal and external proper communication. and the most important things to every body to be proactive and to do his job on time without any delay under proper procurement process and the more important things to decrease nos of person during this process. I agree with the contents of above comment, I am a procurement Manager as per the directives BOD to train the local persons under me, I tried to involve them in correspondence, negotiations, and selection of vendors but it had became a self created problem for me, at every point they need debate and do not agree to count the cost efficiency, as in industry some time you have to award order to a supplier who may be in price little higher but delivery time is minimum than others, which eventually save your plant down time. Agreed. The greatest challenge is the inadequate representation of procurement at strategic levels. Procurement is oftenly seen as just one of those support functions with seriously underestimated value to the overall organisation’s strategy. Very few organisations(in my country at least-Zimbabwe) have procurement Directors and the departments or sections are either staffed with officers specifically responsible for operations. In the area of good communication also lies the idea that a procurement professional and by extension, his company, develops and maintains a high level of trust between all stakeholders in the supply chain. This is critical in order to ensure that supplies arrive as promised and when needed so that a project can be completed timely. In addition, suppliers need to know that you are as interested in their well being as well as your own and that everyone should be profitable in the relationship. Another bold obstacle facing the procurement community is the local currency fluctuation. “Win the home games first” is my supply chain rule number 1 ( out of 8). Without internal collaboration, then we are left with a functional silo that operates in isolation and who can see its internal colleagues as “the enemy” and the ones that cause problems. Asking internal users ( I prefer to call them customers, users should be a banned word), just what they think of purchasing and the answers are so often “scary”. “Developing Internal Customer Relationships” is mission critical for procurement,.No surprises that this was also an actual title of training undertaken for an Oil E&P MNC. I tend to agree with the ethos of Stuart’s comment, and I think the article contents will resonate with many purchasing practitioners. In my experience of revamping and leading Procurement functions, I find the most fundamental problem is the lack of underlying effectiveness. Irrespective of the number of obstacles, or how we slice and dice them, sustainable functional success can’t be achieve without Procurement effectiveness. In the Middle East Gulf countries the main challenge has been the quality of staff as the recruitment is often based on a rational balance of various nationalities rather than selection on individual ability basis. This poses a serious challenge to the procurement manager as often the user departments do not have quality staff to communicate the exact requirement and reply to the queries of Procurement. Often in Procurement department the staff is given to accommodate the balance quote of the unproductive local nationals – less educated and disinterested, generally a low percentage is genuinely interested in work. They are an additional liability on Procurement Manager to carry on. I agreed with the five obstacles discussed by the experts .I think the other thing should be mistrust between the suppliers and the organizations. 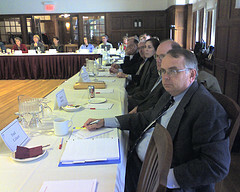 Solution could also be strengthening the supplier relationships with organization to bridge the gap.